Arizona State University (also known as ASU, or "Arizona State") is one of the most frequently searched universities in America, according to a recent internet keyword search of American colleges. 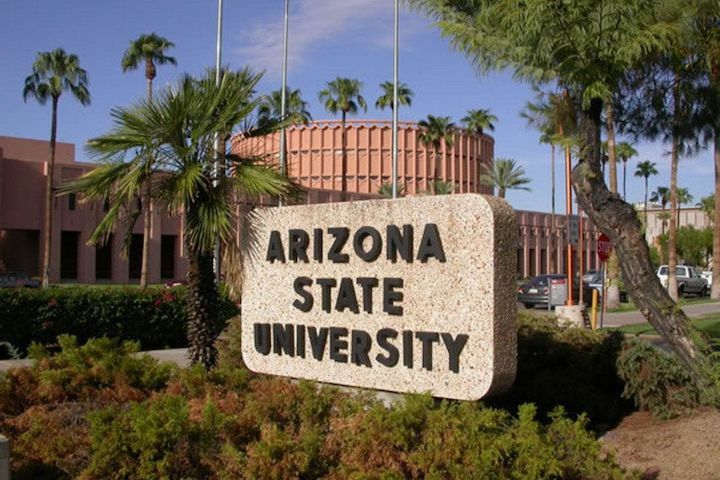 Arizona State, established in 1885, is a public research university whose main campus is located in Tempe, but also has four other campuses, including in Tucson and Phoenix. The school currently maintains an enrollment of well over 70,000 undergraduate and post graduate students throughout all of its campuses. Notable Arizona State graduates include CEOs (such as Kate Spade), politicians (such as U.S. Senator Carl Hayden), star athletes (such as Reggie Jackson and Barry Bonds), and celebrities (such as talk show host Steve Allen and actor Nick Nolte), among others. 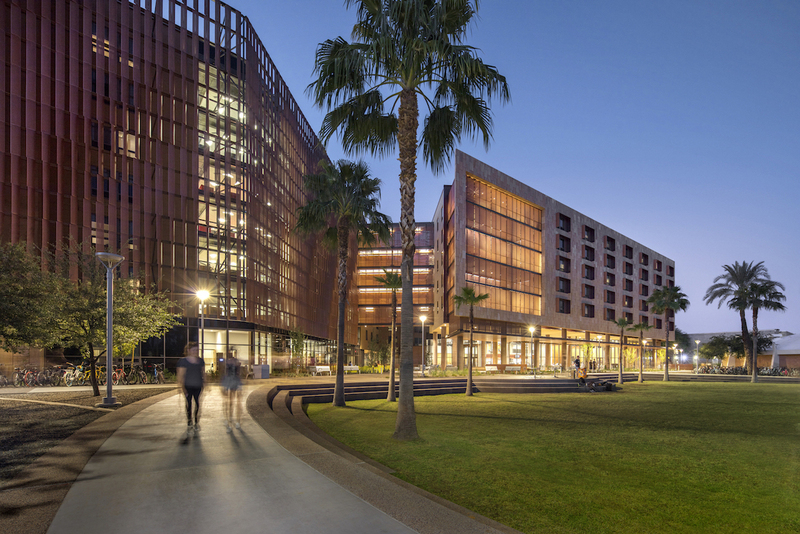 For the 3rd straight year, U.S. News and World Report has ranked ASU in first place among the Most Innovative Schools in America. Shown above: The Tempe campus of ASU. Here are the answers to some frequently asked questions about Arizona State University. 1. 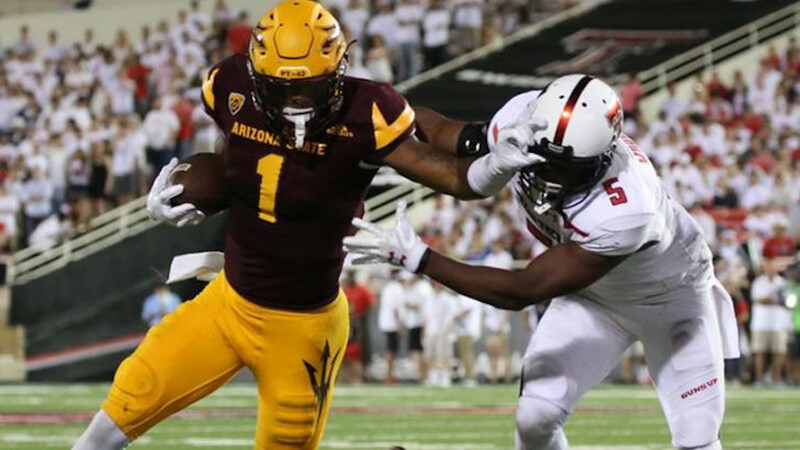 Where is the Arizona State University? 2. What programs are offered at Arizona State University? ASU offers a broad range of Bachelor degree, Masters degree, Doctoral degree, and professional degree programs in various fields of study. Arizona State also features numerous graduate and professional programs. These include most of the ones mentioned above, plus many more. Go here to see a full list of PhD programs at Arizona State. Above: The downtown Phoenix campus of ASU. 3. What programs are offered at the Arizona State University College of Law? The Sandra Day O'Connor College of Law is ranked highly by U.S. News and World Report. Above: Tooker House, one of many ASU residence halls. 4. How much does it cost to attend Arizona State University? Undergraduate Rate: $510 to $718 per credit hour for all residents. Graduate Rate: $512 to $1,312 per credit hour for all residents. Certificate: $490 to $1,132 per credit hour for all residents. Financial aid may be available to ASU students who apply by completing and submitting the FAFSA form. Financial aid can consist of grants, loans, scholarships, work-study programs, or any combination of these. Above: The ASU football team in action. 5. 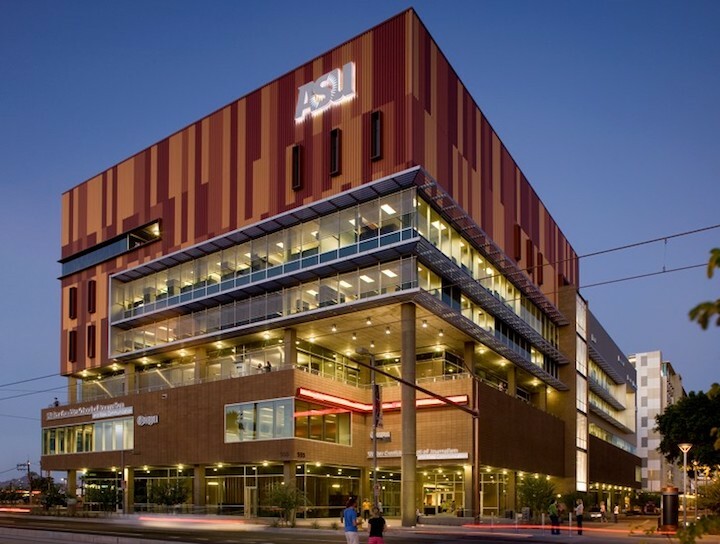 What are the Arizona State University campuses like? The main (original) campus of ASU is located just south of the Salt River in Tempe, about 8 miles east of downtown Phoenix. The property spans more than 660 urban acres. Campus landmarks include the ASU Desert Arboretum, the Wells-Fargo Arena, and several stadiums, among others. The Tempe campus is the university's research and graduate school center. Public transportation includes inter-campus shuttles and a light rail, to get students around and between all five ASU campuses. Intramural sports include most of the ones listed above, as well as cheerleading, cycling, dance, equestrian training, fencing, handball, ice hockey, lacrosse, and rowing, among others. 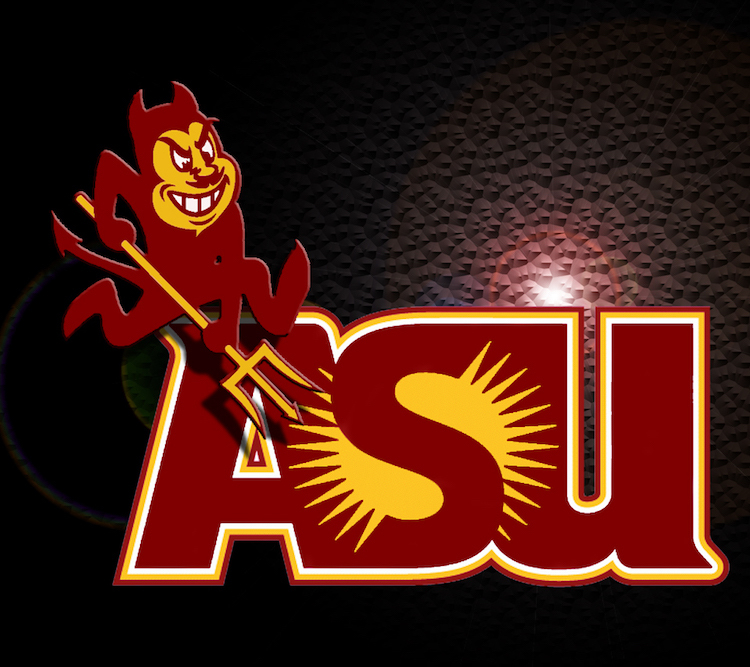 Above: An ASU Sun Devils logo. 6. What are the distance learning options at Arizona State University? 7. What is the contact information for Arizona State University? You can reach an operator at the Tempe campus of ASU by calling 855-278-5080, or 480-965-2100. 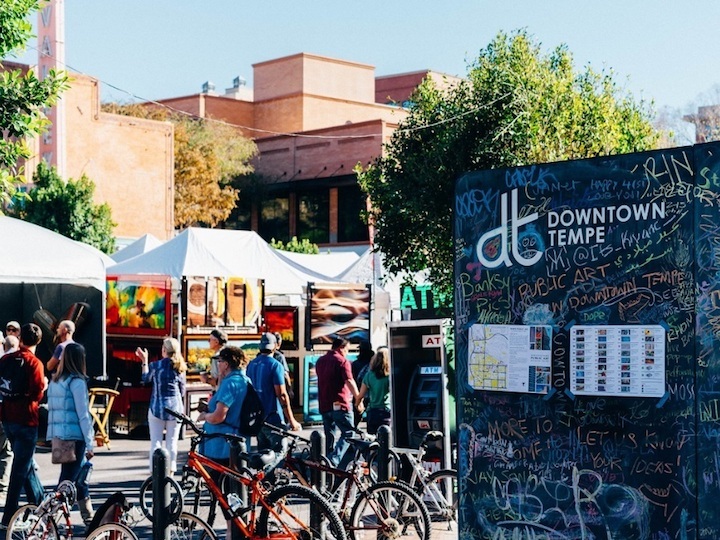 To reach the downtown Phoenix campus of ASU, call 602-496-4636. To inquire about online classes at ASU, call 855-278-5080. To contact the Sandra Day O'Connor College of Law at ASU, call 480-965-6181.